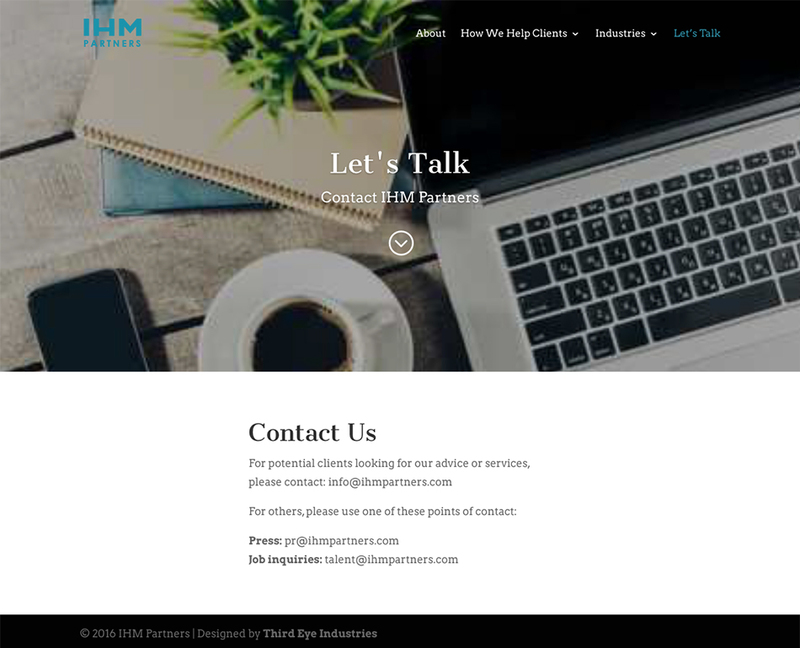 IHM Partners offers leadership and strategy for management consulting and advisory services. 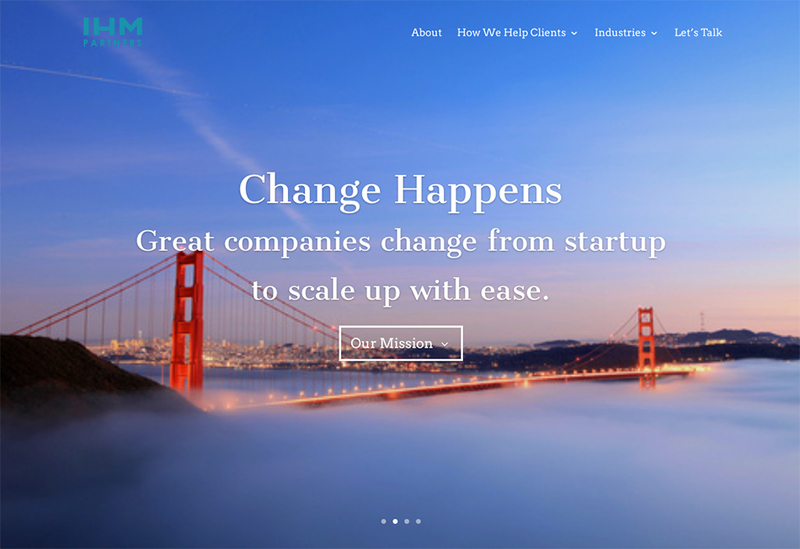 They specialize in working with fast growth, turnaround and companies at inflection points. 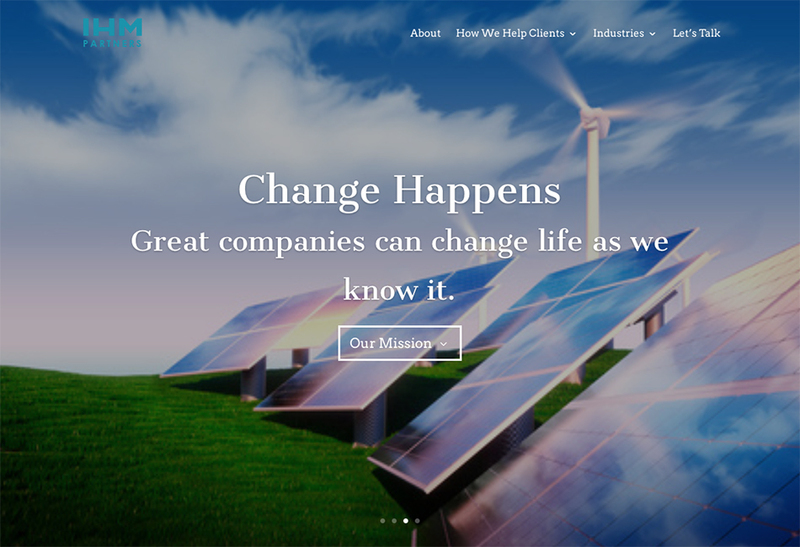 This startup company needed a fresh, new website and logo. We set them up with WordPress and a great responsive theme. The site uses a photographic approach to inject a emotional, yet professional look.